Permanent link to this topic. Posted 2008-08-28 09:10:47. Reply to Tracy_Kemp. Categories: Library News. The University Library is having an ice cream social to welcome everyone back to campus. In addition to ice cream, there will be some Library giveaways. When: Thursday September 4, 2008 from 12 p.m. to 1 p.m. Permanent link to this topic. Posted 2008-08-28 09:01:50. Reply to Tracy_Kemp. Categories: Library News. 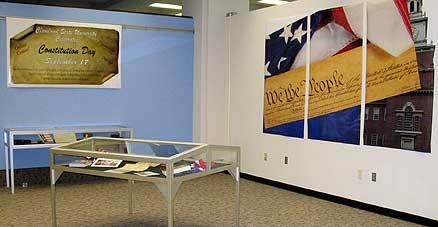 The Library will be closed on Monday September 1, 2008 in honor of Labor Day. Permanent link to this topic. Posted 2008-08-28 09:00:49. Reply to Tracy_Kemp. Categories: Library News. 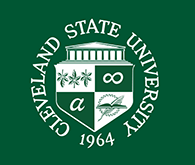 Today Cleveland, Ohio is recognized internationally as a leader in diagnosis and treatment of cardiovascular disease. Our Cleveland Clinic has been ranked No. 1 in the nation for cardiac care by U.S. News and World Report every year since 1995. With its new web exhibit, Cleveland: Pioneer in Cardiac Care, Cleveland Memory takes a look back to the 1950s when great strides made in area hospitals and other medical facilities first brought Cleveland to the forefront of cardiac care . 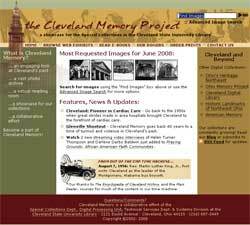 ... And while you're visiting Cleveland Memory, be sure to note the new website design! Permanent link to this topic. Posted 2008-08-07 15:01:09. Reply to Lauren_Felder. Categories: Cleveland Memory. Showing posts from August 2008 only. Display other dates.